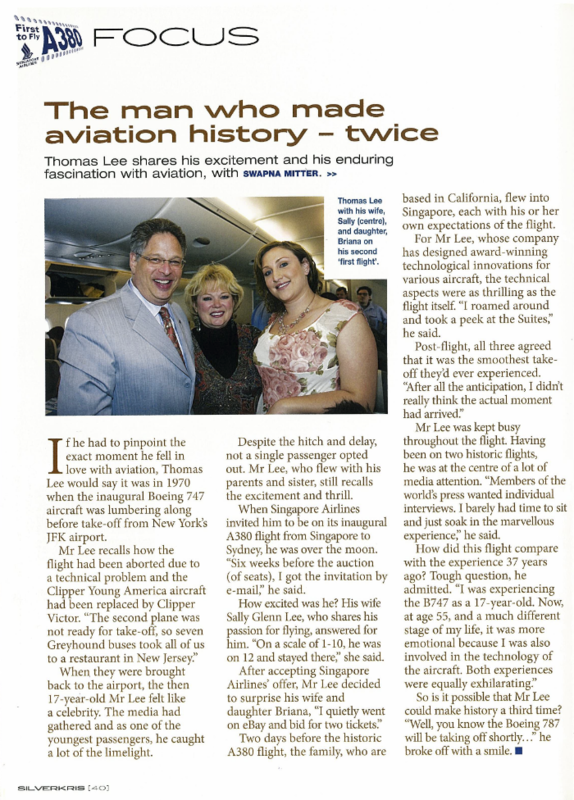 He was only 17 when he boarded the first Boeing 747 aircraft. 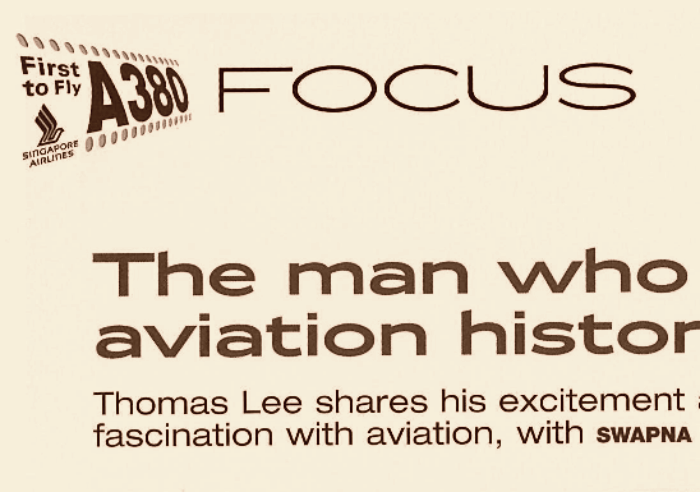 His wife and daughter joined him 38 years later as he flew the historic A 380 flight. This is Thomas Lee, an aviation enthusiast and a pioneer of sorts.